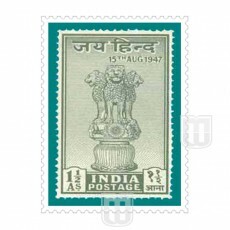 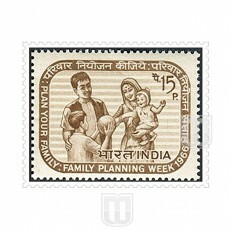 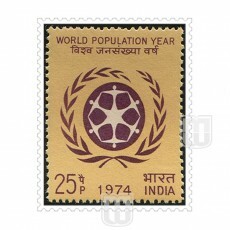 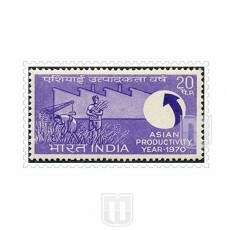 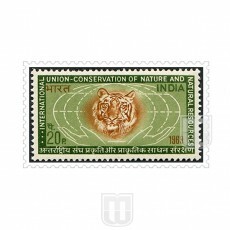 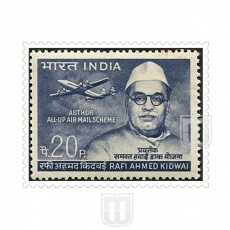 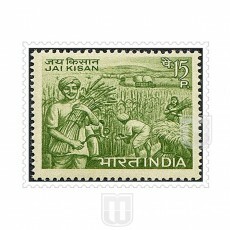 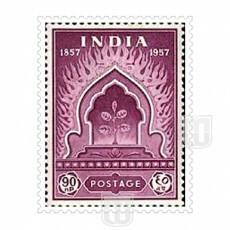 Description : First commemorative stamp of Republic India. 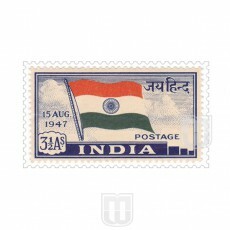 It depicts the Indian Flag with the patriots slogan, Jai Hind (Long Live India), on the top right hand corner and also the date of Independence on left corner. 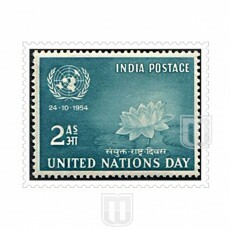 Description : United Nations Day is devoted to making known to people of the world the aims and achievements of the United Nations Organization. 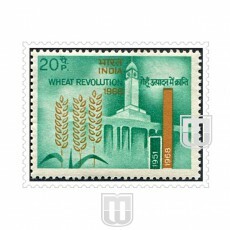 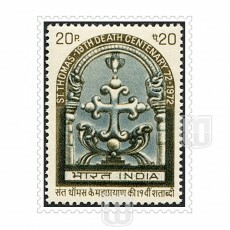 Description : Centenary of Indian Mutiny.